1oasis Domain: Eid Mubarak 1432H & Merdeka 2011 Greetings! Eid Mubarak 1432H & Merdeka 2011 Greetings! 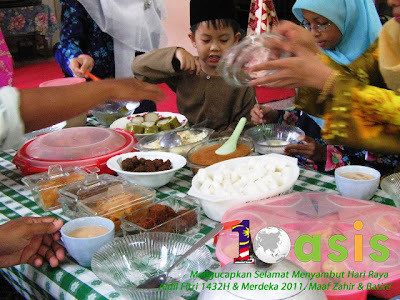 And this time around, it's a double celebrations too, as Muslims around the world will also mark the end of the month of August 2011 (which co-incides with Ramadan this year) with Eid al-Fitri festivities. Enjoy the great food, warmth of family ties and friendships, and safe and joyous day! Our services and support will continue without interruptions during the holidays, but please allow up to 48 hours for email responses on non-urgent matters. Stay tuned in September for exciting announcements on our harden hosting offerings - multi-domain hosting, bulk/reseller hosting and VPS & cloud servers! Forgiveness, hereby requested from us at 1oasis.net for all our lackings the past months of the year. Maaf, Zahir & Batin!